Fischer Ingenieurtechnik has been analyzing plastics and plastic products for the industry for more than 15 years. We analyze and evaluate plastics and plastic products for defects and processing defects. At the same time, we will provide you with information on possible problems and weaknesses. also incorporates special analytical methods, such as differential scanning calorimetry (DSC) - dynamic and static DSC tests - in our company. This process is based on the fact that different materials store different internal (heat) energies. Accordingly, they differ in their thermal capacities, i. In their capacity to absorb or surrender energy. 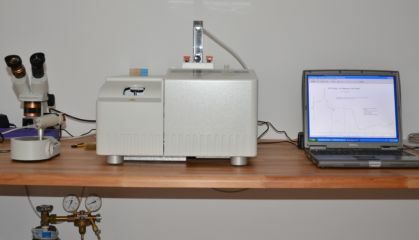 The DSC test uses this behavior of the plastics: the temperature difference between the sample to be tested and a known reference sample are measured as a function of the heating furnace temperature. This gives information about the specific properties of the plastic sample. Depending on how the sample behaves during heating or cooling, the physical composition of the sample, its molar mass and its thermal history, as well as manufacturing influences during the production of the plastic, can be determined. The most important digestion of a DSC, however, is that an analysis is carried out using simple means, whether the plastic has already been damaged as a pipe material in advance, or whether damage to the plastic occurred during production due to too much heat or mechanical influence. 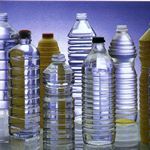 It is also possible to determine whether a plastic has been mixed with another plastic, whether it has been improperly mixed with recycled material, or if there are other substances in the plastic which do not belong there and which have led to a change in the properties. In other words, the DSC test allows you to check into the plastic product whether a damage has already been caused by the raw material or by an incorrect processing. Quick processing and expert opinions are our most important corporate objectives, so we are sure that you will be able to convince you about the services of our office. We would be pleased to advise you personally and would be pleased to get in touch with you.